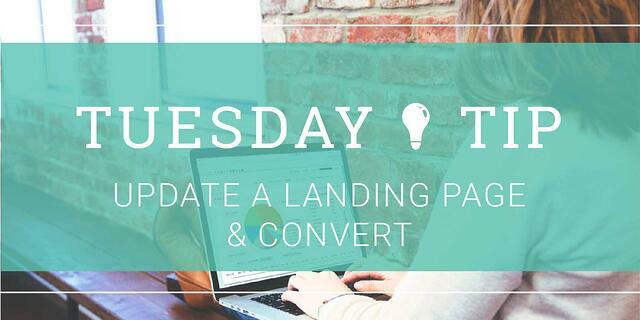 Tuesday Tip: Update (at least) one landing page and make it convert. Redesigns come at a price. Even if you know you need some updates, not many of us are eager to jump in to a full-on design project. However, I think we sometimes forget the power of little updates here and there. Clients –especially nonprofits – can often only commit to a landing page redesign. And guess what: it's well worth it. Let's review some of the top landing page design trends and tactics to inspire you to update one or two of yours this year. 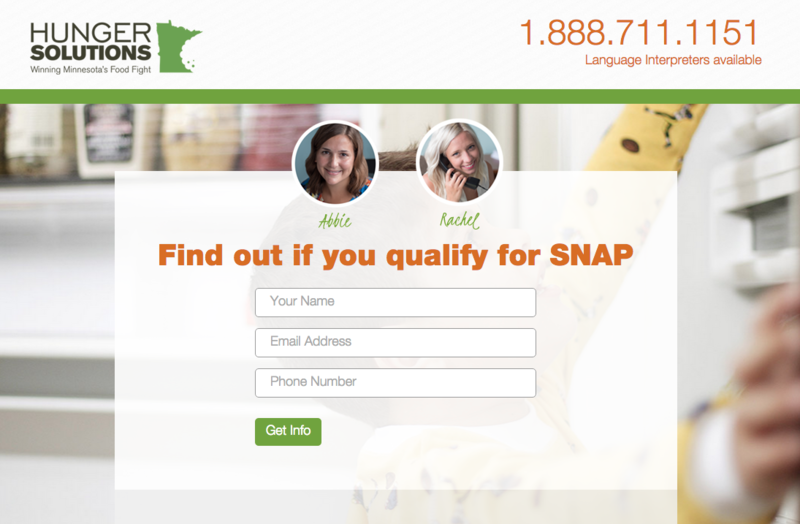 A client of ours, Hunger Solutions, sought to get their users connected with SNAP – a meal service program. They were running an AdWords campaign and they felt their money was being wasted, seeing as they weren't getting many conversions. The former page was full of text, feeling quite busy. We removed most all text except the call to action. The copy had asked "do I qualify for SNAP?" 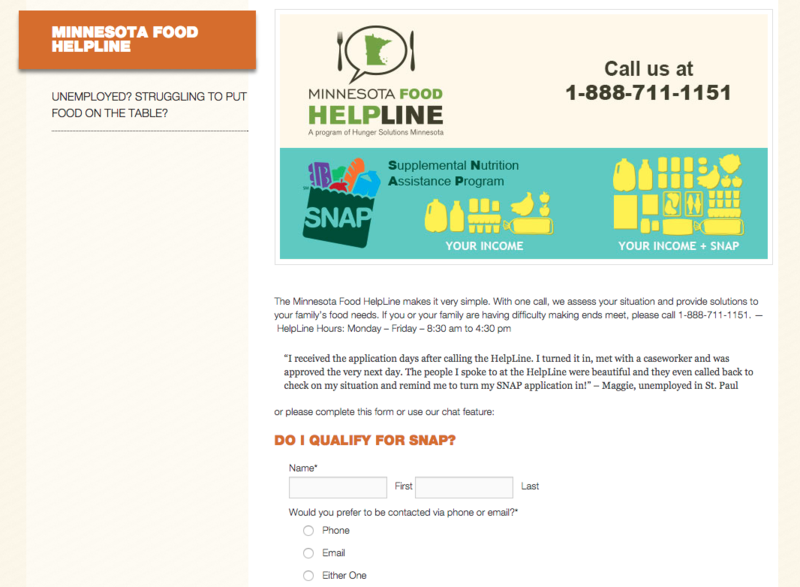 Instead, we called the user to action, explicitly specifying what the form does: "find out if you qualify for SNAP." There was navigation along the side on the original page, which actually distracted the visitors from the form. The only clickable option we included is the button. The previous imagery used icons, which weren't helping the user to fully understand the program. We simply used one image in the background, showing who the program helps, and then the two small profile images of the people with whom the helpline would connect the user. Hunger Solutions saw a 178% increase in conversions from June to July. Best of all, they received 3x as many calls to their helpline. 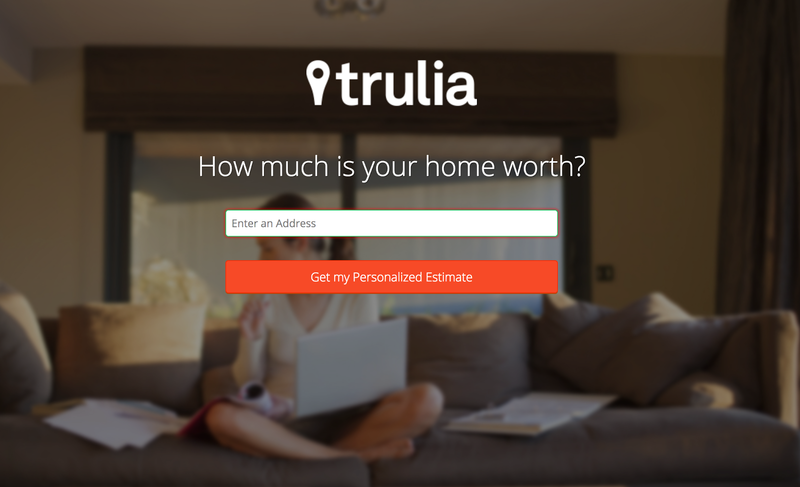 First, take a look at your landing pages and forms and prioritize. What's most important to you in terms of conversions? If this is unclear, check with your sales or development team. If your budget is small, start with your most important page and go from there. What's the current conversion rate? What's a realistic goal for where this conversion rate could be? Are there several calls to action? How can you decrease those to one? Does your form clearly describe what you're asking users to do? As someone who doesn't know your organization, is the imagery and copy helpful in understanding your main goals? 3. Get inspired! Take a look at some of the top performing landing pages below. They are simple, tasteful and concise. Why this landing page converts: This page draws the user in, as they wonder what "ask Jelly" means. Below the header, it eloquently describes the product. Another great benefit is it shows the full product and an example of how the product is used by a real person. Why this landing page converts: Similar to Hunger Solutions, this landing page simplifies the form to one main call to action. It shows a person in the background to illustrate how their service works, rather than trying to explain this with a bunch of text. 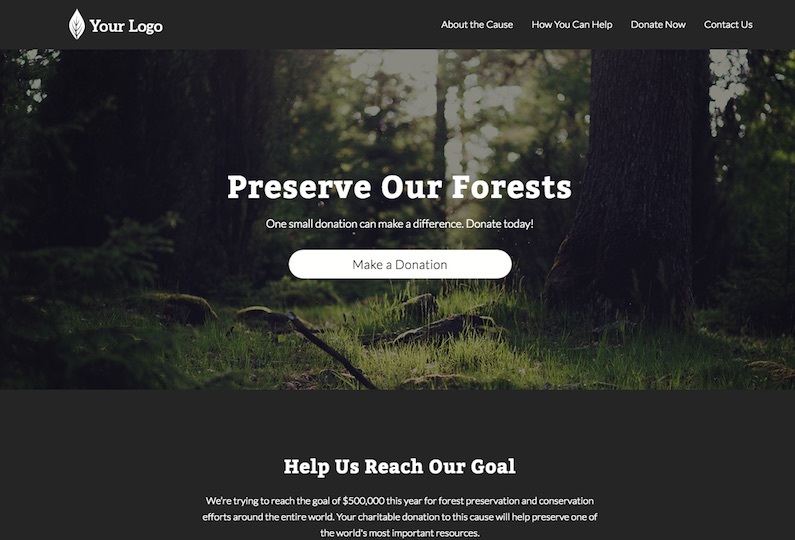 Why this landing page converts: This nonprofit got right to the point stating what they want you to do – "preserve our forests." Another notable design tactic: they kept the main information at the top, in an elegant design, and then added more information further below. If you need the details (which many do when they are donating money) you can scroll down and find more. Why this landing page converts: As you approach your redesign, it is highly important you think about mobile. For most of our clients, around half of their users are on mobile devices or tablets. As the CodeIt example shows, get straight to the point, as you only have so much space with which to work. 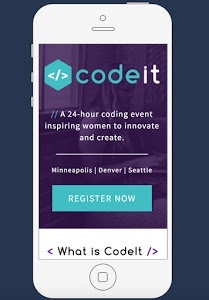 The designers here also included "what is CodeIt" right below the CTA so people can find more information if they need it. It can all start with just one landing page. Then, once you realize the investment is worth it, maybe another. Eventually you'll have 3 or 4 high-converting pages. From there, when you do get to a redesign project, hopefully these are at a point where you don't need to start from scratch. Just be sure to design strategically, a/b test and track your success. Contact our team if you'd like some help!